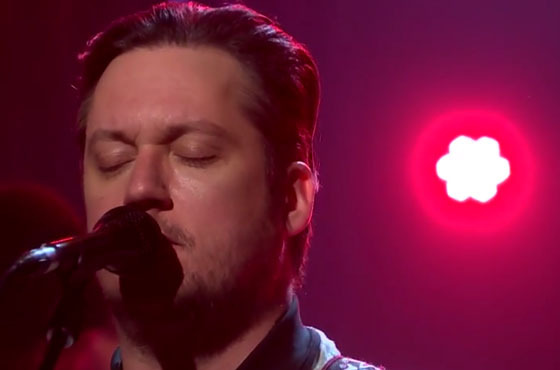 Modest Mouse ended their eight-year recording hiatus with the release of Strangers to Ourselves last week, and the band stopped by The Late Late Show with James Corden last night (March 24) to serve as the inaugural musical performers on the show. Host Corden took up the late-night gig this week, replacing Craig Ferguson, and if Modest Mouse's performance is any indication, things are going pretty well. Brush up on your band trivia with our Five Noteworthy Facts You May Not Know About Modest Mouse, then check out the impressive eight-piece band storm through new album cut "Be Brave" on Corden's show in the player below. Strangers to Ourselves is out now via Glacial Pace.